Pants optional — your dress code for life. 1. An easy breezy sundress that'll become the most photogenic piece of clothing in your closet. Can't wear for summer to wear it? Just layer a T-shirt underneath! Get it from Amazon for $20.99+ (available in sizes S–XXL and 30 colors). 2. A corduroy pinafore dress for adding a cool factor to your overall look. Get it from Target for $23.98 (available in sizes X–4X). 3. A sweet floral frock you'll want to twirl around in all day long. Get it from Amazon for $20.99 (available in sizes S–XL). 4. A sweet polka dot number to make you wonder, "How can something so comfortable look so good?! How?!" 5. A plaid shirt dress that won't restrict your legs as you're strutting down the street. Get it from Amazon for $19.88+ (available in sizes S–XXL and eight colors). 6. A tie-front knit dress for the most comfortable party outfit you'll ever wear. Get it from Amazon for $23.99+ (available in sizes S–XL and 11 colors). 7. 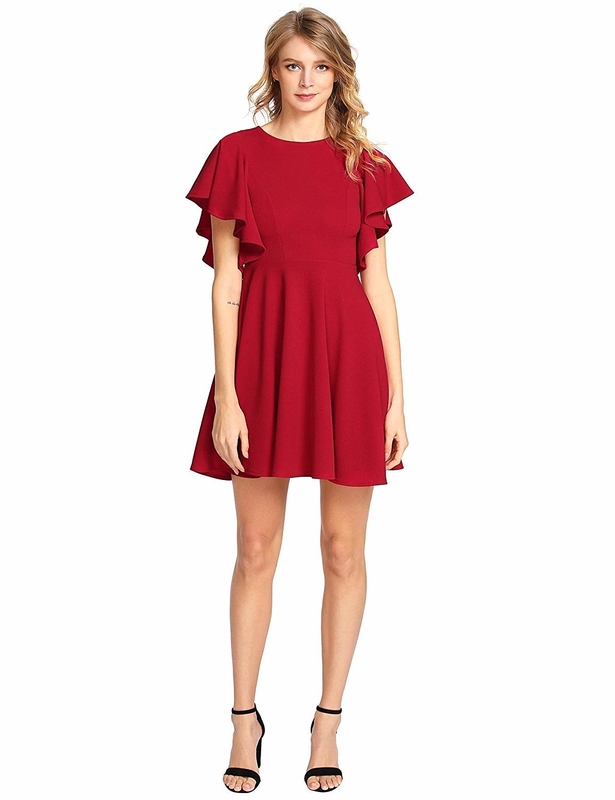 A super soft skater dress with a high-low hem you'll look effortlessly gorgeous in. Get it from Torrid from $22.49. 8. A loose-fitting shirt dress so cute, it'll bring a ~tier~ to your eye. Get it from Boohoo for $22 (available in sizes 4–12 and four colors). 9. A ribbed sweater dress that'll feel like wearing a warm hug. Plus, it'll go with pretty much any coat or accessory. Promising review: "Warm and comfy. Very body hugging." —Elsa V.
Get it from Forever 21 for $19.90 (available in sizes 0X–3X). Get it from H&M for $24.99 (available in sizes 0–18 and five styles). 11. A breathable linen-blend tunic dress you won't want to take off. Get it from Amazon for $18.99 (available in sizes S–XXL and six colors). 12. A cozy roll-neck dress so you can stay warm and still look like a snack. 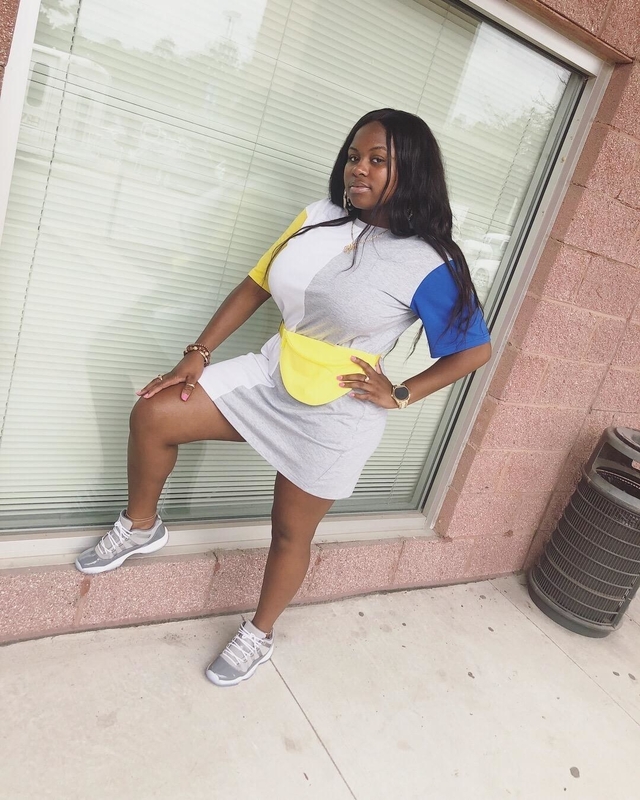 Get it from Boohoo for $15 (available in sizes 12–20 and four colors). 13. 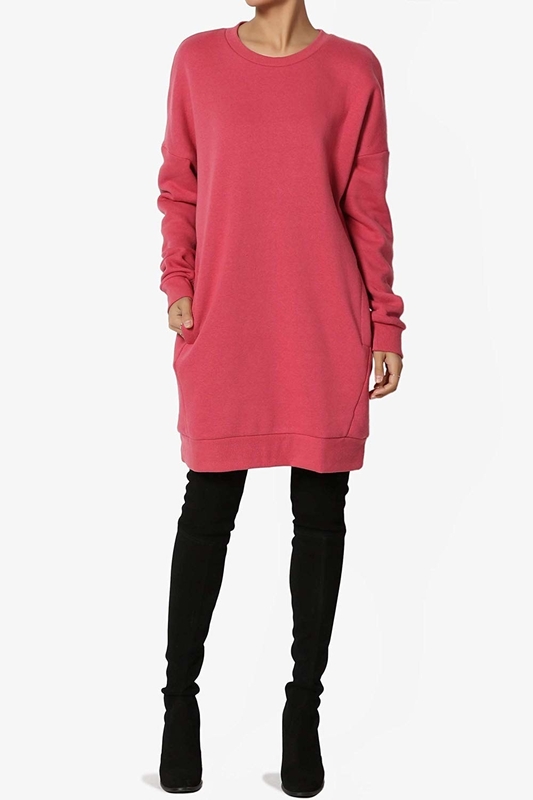 An oversized pullover dress that's just a longer version of your fave sweatshirt. Get it from Amazon for $16.99+ (available in sizes S–3X, 14 colors, and two necklines). 14. 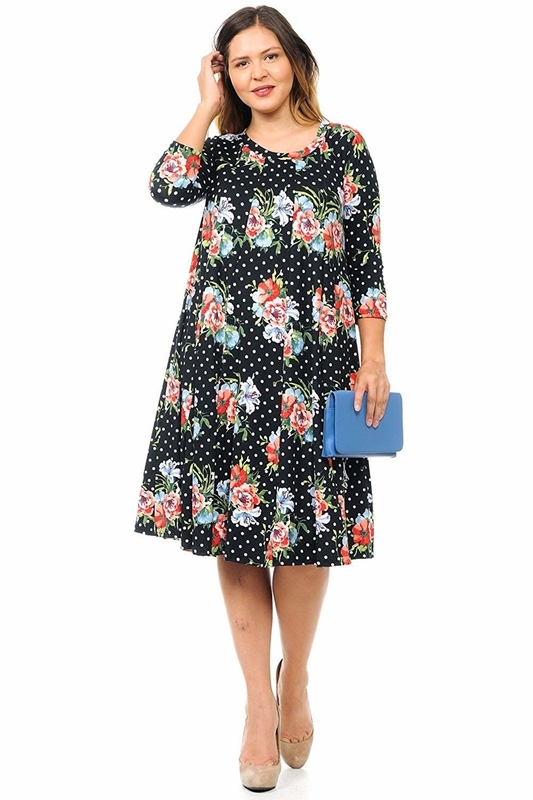 A boho-chic floral dress with an elastic waistband perfect for accommodating food babies. Get it from Amazon for $24.99 (available in sizes S–XXL and 21 patterns). 15. A non-itchy lace number you won't regret wearing on a long night out. Get it from Torrid for $20.48 (available in sizes 10–24). 16. 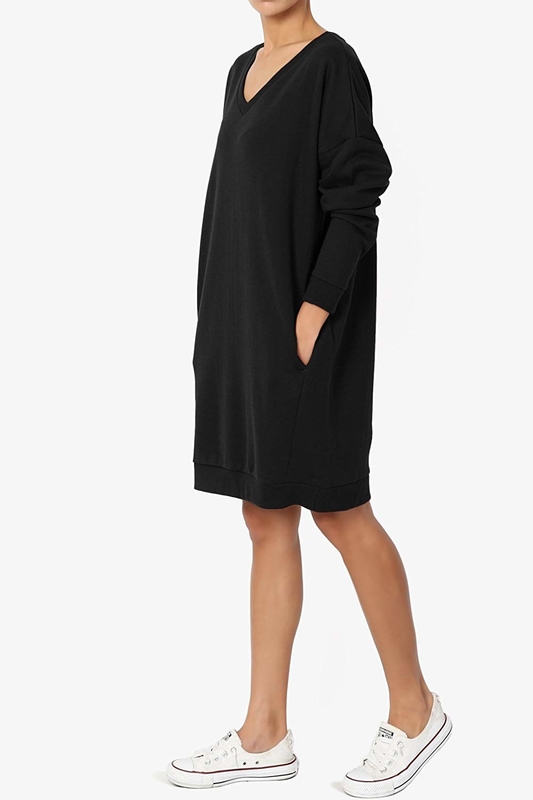 A boxy color block T-shirt dress comfy enough to take a nap in. Get it from Amazon for $9.99+ (available in sizes XS–L). 17. 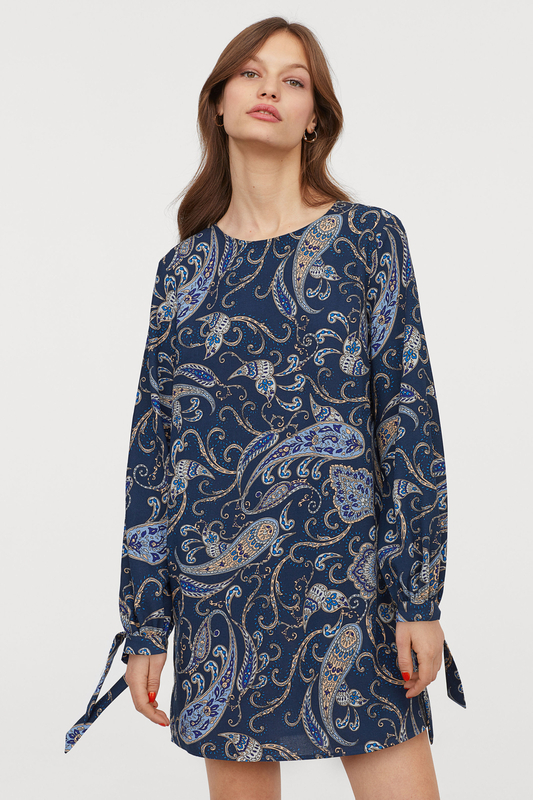 A casual and chic surplice number that's definitely not your average T-shirt dress. Get it from Amazon for $9.99+ (available in sizes S–XL and six colors). Get it from Avenue for $18 (available in sizes 14–28). 19. A maxi dress (with POCKETS!!!) you can dress up or down for basically any occasion. Get it from Amazon for $16.99+ (available in sizes XS–XXL and 11 colors; also check out the sleeveless version and striped version). 20. 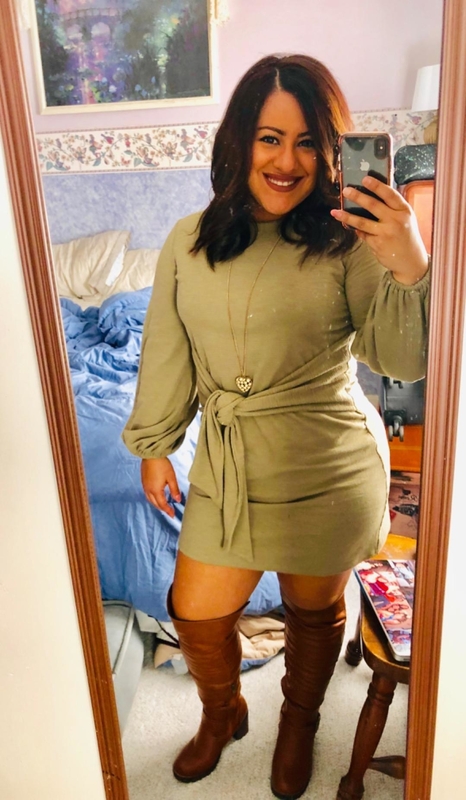 A scoop-neck tunic dress to wear on repeat with leggings and boots — it's the perfect winter outfit, TBH. Get it from Amazon for $13.99+ (available in sizes S–L and 18 colors/patterns). 21. A velvet frock with embroidered mesh sleeves that'll basically be a compliment magnet. Get it from Amazon for $16.99+ (available in sizes XS–XXL and 15 styles). 22. 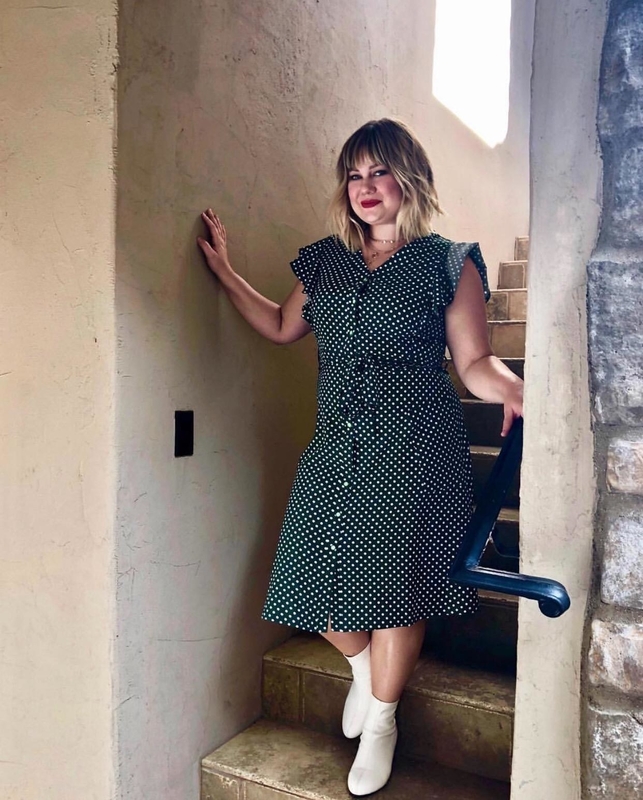 A retro polka dot number for anyone whose wardrobe is missing some '50s flair. Get it from Amazon for $18.99+ (available in sizes S–XL and five colors). 23. 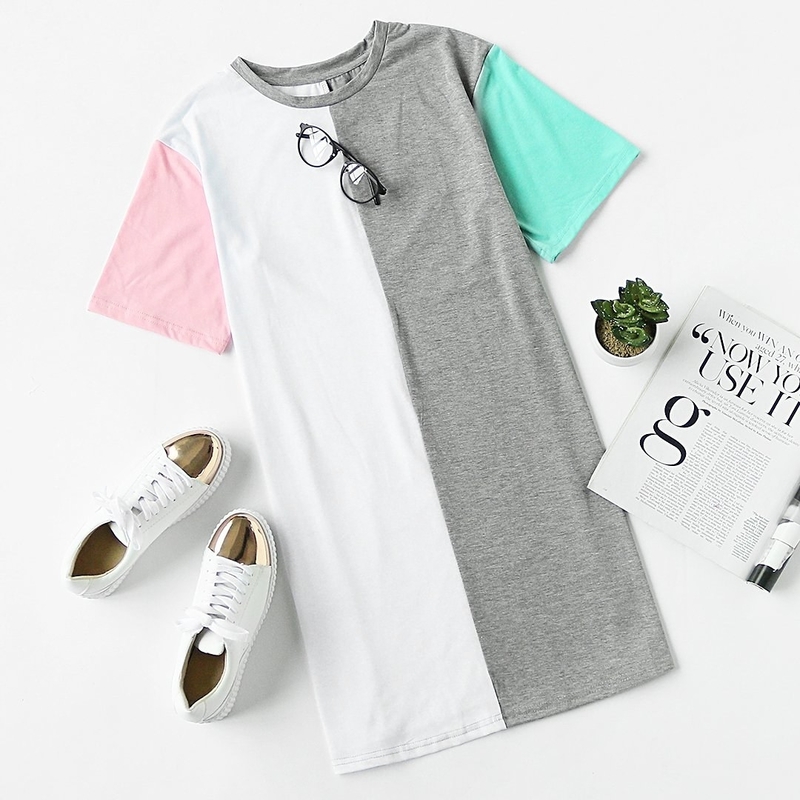 A basic T-shirt dress — a fail-safe option for when everything else in your closet seems "bleh." Get it from Amazon for $18 (available in sizes XS–XXL and 12 colors). 24. A knit jersey A-line number to make getting dressed on Monday mornings so much easier. Get it from Amazon for $19.99+ (available in sizes XL–3X and 36 colors). 25. A belted sleeveless dress that'll work for both office hours and happy hour. Get it from Amazon for $21.99+ (available in sizes XS–XL and seven patterns). 26. A ombre T-shirt dress for an effortlessly cute look that's ~tie-dye~ for. Get it from Amazon for $9.99+ (available in sizes XS–3X and 17 styles). 27. A collared swing dress so you can channel your inner Wednesday Addams. Get it from Amazon for $22.99+ (available in sizes XS–XXL and 10 styles). 28. 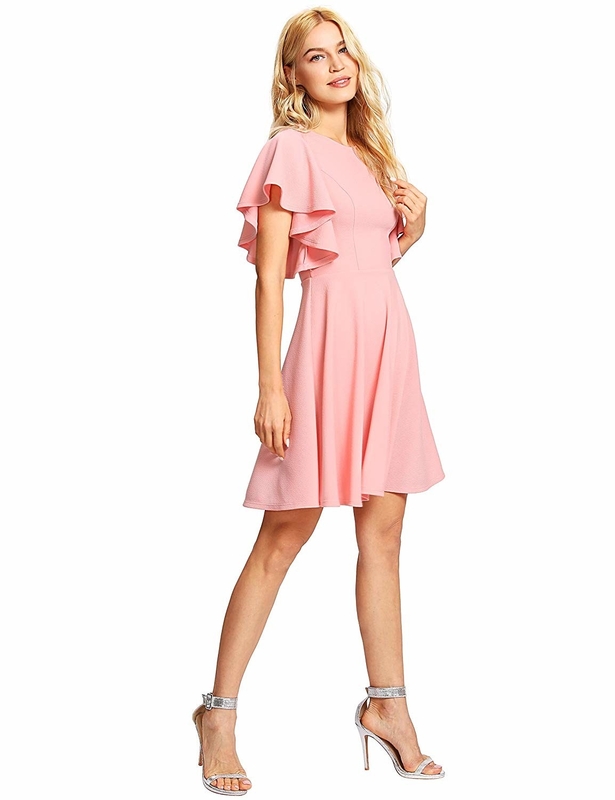 A stretchy cocktail dress sure to make your heart flutter. Promising review: "It held up well in the wash, no shrinking or anything. It was very comfortable and lightweight. I was worried it would be see-through in the chest but it wasn't at all." —Erin L.
Get it from Amazon for $19.99+ (available in sizes XS–XL and 14 colors/patterns). 29. A light and airy swing dress with pockets that'll make you wish for spring to arrive early. 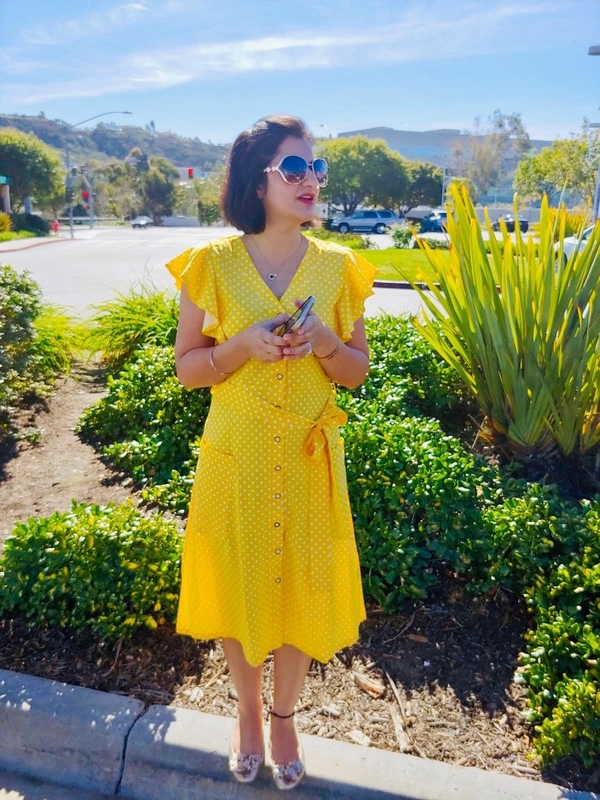 Promising review: "This dress is so comfortable and easy to wear. The fabric is thick and the colors look cute. I am very happy with this dress and will be wearing it throughout this spring." —Andrea A. Get it from Amazon for $16.99+ (available in sizes XS–XXL and five color combos).